French rendez-vous at café Quincampé, a romantic place to spend your afternoon break form sightseeing and have a coffee or tea in a cozy environment: big and small tables, real fire place and red velour comfortable sofas. 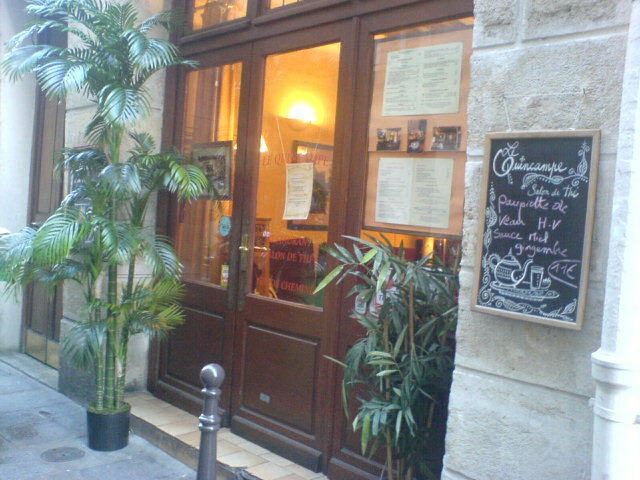 Quincampé, 45 rue Quincampoix 75003 Paris. Tél. 01 40 27 01 45. After climbing the Rue des Martyrs, just northeast of the Galeries Lafayette department store and southwest of the Basilica of Sacré-Coeur at Montmartre (half-mile street, mostly uphill, is the spine of a neighborhood that offers magic in a compressed time), enjoy a winter lunch of dinner at the Auberge du Clou.